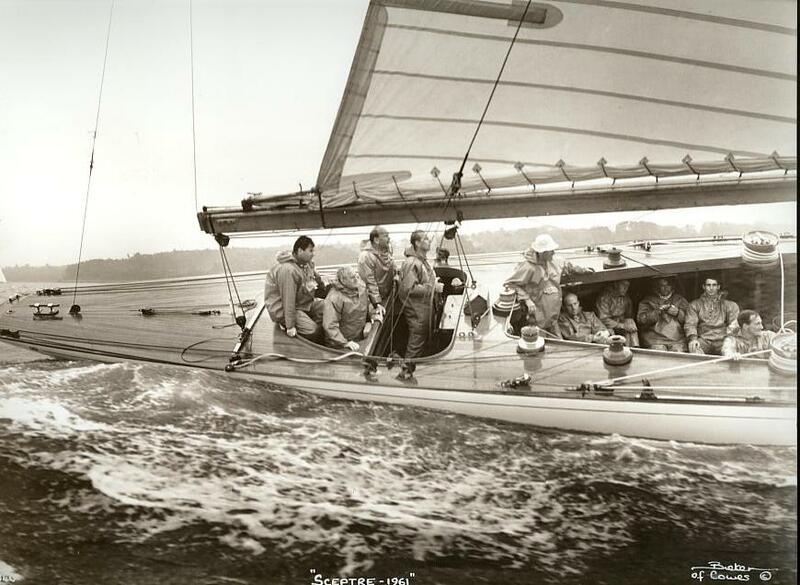 Sceptre, an International 12 Metre Class yacht, was built for the Royal Yacht Squadron as the 17th challenger for the America’s Cup in 1958, a series of seven races held in Newport, Rhode Island, USA. 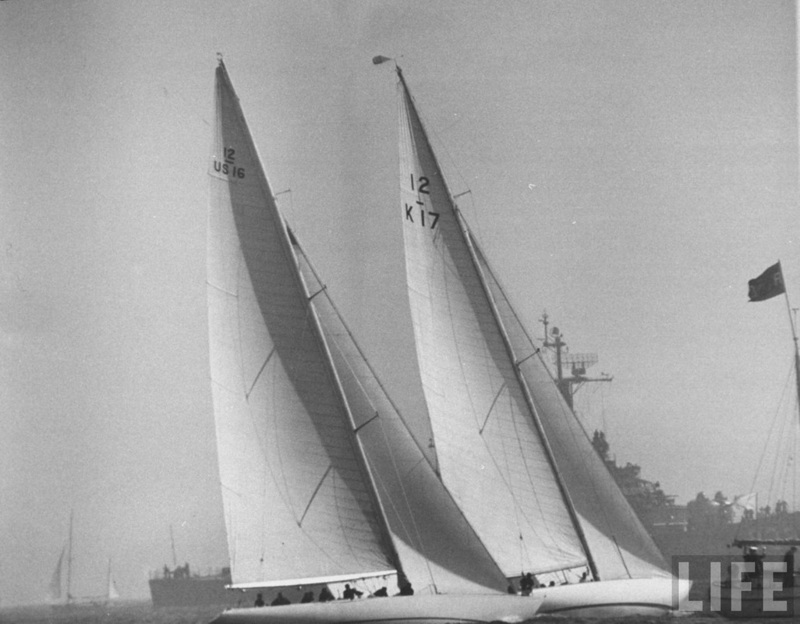 She was soundly beaten by the defender Columbia, but then went on to be a very successful racing yacht in the 1960s. 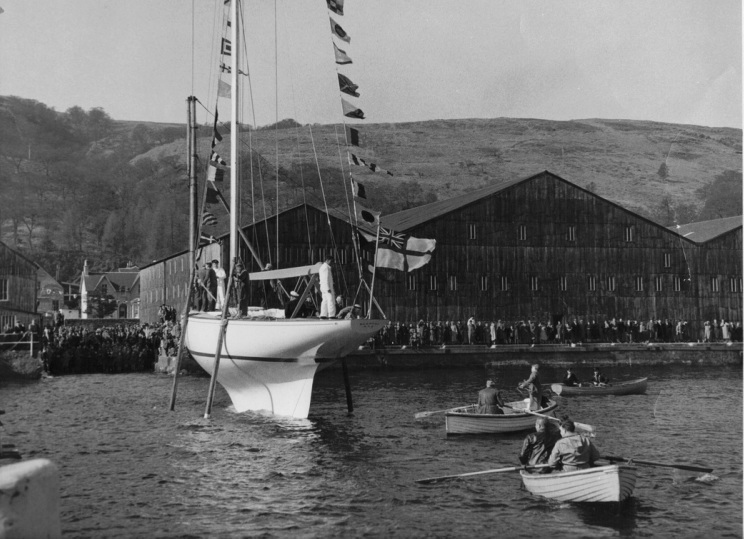 She was converted to a cruising yacht between 1978-86, and since then has been owned and sailed, predominantly in British waters, by the Sceptre Preservation Society.